I wore this to girls night. 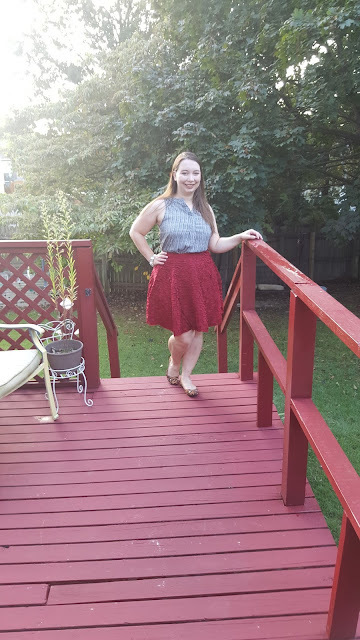 I found this skirt on ThredUp I loved the little ruffles. I paired it with a simple black and white top. I'm trying a little bit of a capsule wardrobe right now with neutrals, pink and green and whatever else that still fits me in my closet but I saw this skirt and even though it's not in the palette it goes with the neutrals. 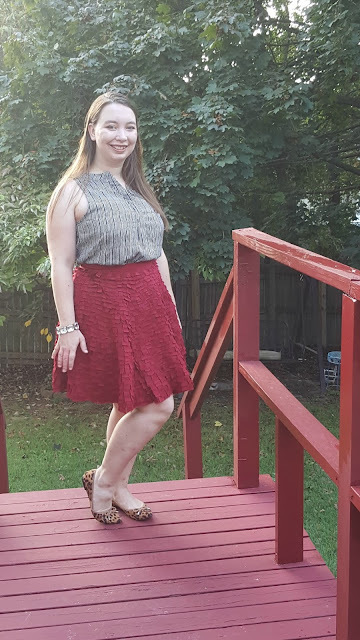 I love the texture of this skirt! I love the color and texture of this skirt. Gorgeous look! You never know what you might find on ThredUp! I love the ruffle details here too, so cute! That skirt is so pretty! I love the color! 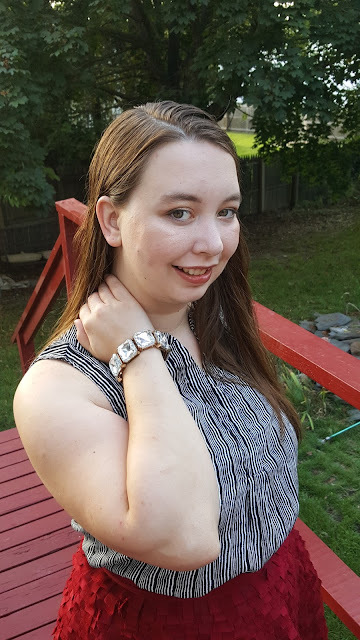 ThredUp has great stuff. Love the ruffles. Perfect skirt for a girls night. It's such a pretty color and so fun! Oh I love the texture of that skirt, it makes it so fun and special. It's great with the black and white top too.